Lodge Pre-Seasoned Cast-Iron Chef's Skillet Just $14.97! 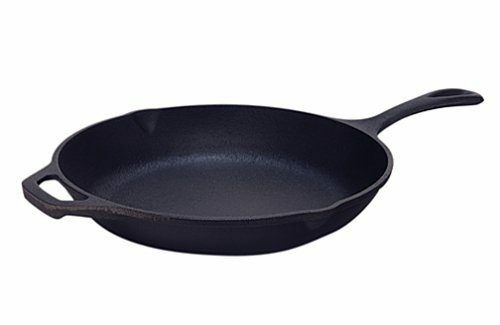 You are here: Home / Great Deals / Amazon Deals / Lodge Pre-Seasoned Cast-Iron Chef’s Skillet Just $14.97! Lodge Pre-Seasoned Cast-Iron Chef’s Skillet Just $14.97! Head over to Amazon for a great deal on the Lodge Pre-Seasoned Cast-Iron Chef’s Skillet, 10-inch. Right now, you can pick it up at it’s lowest price of $14.97 (reg. $26.95).